Making an honest living with the freedom afforded by life on the road is appealing to women of all ages -- empty nesters seeking something new and exciting with competitive pay, ambitious recent graduates looking for more than entry level pay, or entrepreneurial-minded women with driving experience who have the desire to strike out on their own. 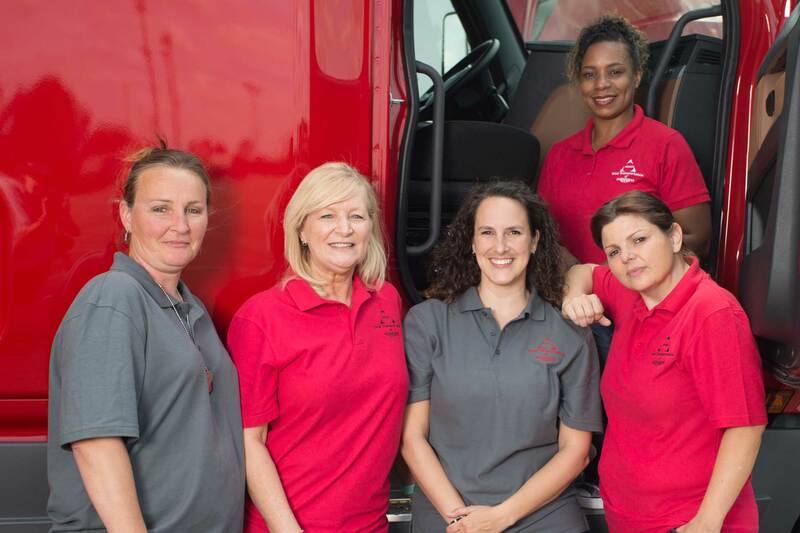 Every day, more women turn to the trucking industry in search of a rewarding career. In fact, nineteen percent of our drivers are women. That is 3 times the industry average! We believe that women can perform the job just as well, and usually better than, some of their male counterparts. TOTAL offers many benefits not found in a regular 9 to 5 job, including college scholarships, full health and dental insurance, company sponsored life insurance, monthly bonus opportunities, rider/pet passes, and paid vacation. We have plenty of female trainers to help you turn that brand new CDL into a rewarding career. After you’ve gotten the keys to your own truck, we have an extensive support system for you to rely on, from your dispatcher to our corporate chaplains. Whether you are an experienced driver or a recent CDL graduate, we have a place for you at Total. TOTAL Transportation is a proud supporter of Women in Trucking and we are continuously looking for ways to grow our fleet with qualified female drivers. The five key features that distinguished the chosen companies were: Corporate cultures that foster gender diversity, competitive compensation and benefits, flexible hours and work requirements, professional development opportunities, and career advancement opportunities. TOTAL is committed to creating a supportive network designed to foster relationships, enhance employee experience, and develop a strong pool of future leaders through resources including mentoring, safety training, leadership development, and enrichment opportunities. We are proud to have almost 3 times the average number of female drivers in our current fleet and hope to grow to 25% in the coming year.